Loose dentures and other denture problems. Loose dentures can be a challenging problem in your everyday life. Patients call us every day with problem or loose dentures, seeking a reliable implant solution to improve their quality of life. If your dentures lack stability, it can impact the way you speak, chew or smile. With loose dentures, you may find that the problem gets worse over time, as the condition of your gums and jaw bone often deteriorates over time, due to bone and facial shrinkage. Modern implant dentistry techniques can now bring an answer to these denture problems, even when patients have often been told their jaw is too small for implants. There is no need for you to suffer from poor fitting dentures any longer, as reliable solutions may be available for you. Just contact All On 4 Clinic Perth to discuss your situation. 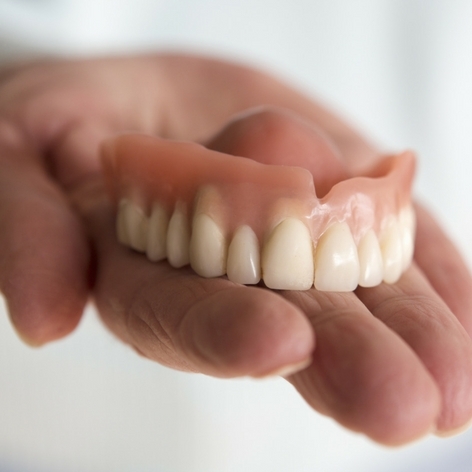 As an alternative to bulky, uncomfortable or loose dentures, implant dentures provide stability and comfort. Implant stabilised dentures are still removable for cleaning, but they are held reliably in place by implants. 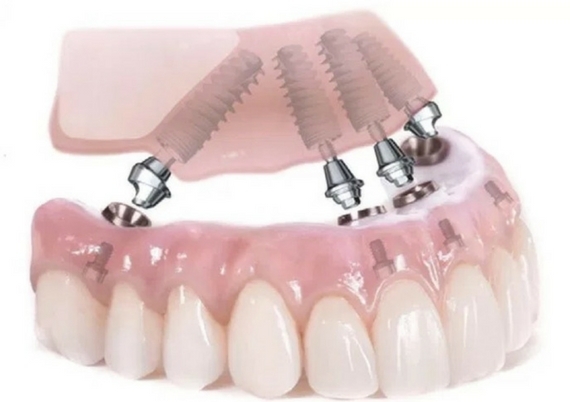 If you are not ready for permanent dental implants or you would like a simpler lower cost solution, implant dentures may be a suitable solution to give you improved function and more stability. If you want to get rid of dentures altogether, permanent implants and a dental implant technique such as All On 4 or All On 4 Plus, can give you new, permanent teeth in a few days. The procedure makes use of four implants secured in the jaw to attach a permanent new set of teeth with total security and reliability. Complete Implant & Sedation Dentistry – All On 4 Clinic Perth is the only official clinic in Western Australia for this recognised national brand All On 4 Clinic. Dr Misagh Habibi has added his own increased value All On 4 Plus Titanium treatment to the list of available implant solutions, his procedure being researched and written at a university level. Dr Habibi and team practice implants at an advanced level, and an entire range of implant solutions to replace dentures other than All-on-4 are available at our clinic, such as TeethXpress, Syncone, Locator dentures, zygoma and pterygoid implants, and conventional implant bridges utilising bone and gum augmentations where required. We will always start with an in-depth diagnosis, hearing your concerns and history, before using X-Rays, photographs and scans to assess the condition of your jaw bone, facial structure and gums, before we make undertake any treatment. Complex cases incorporate 3-D virtual computer planning and execution, when required. Dr Misagh Habibi, the principal and founder of All On 4 Clinic Perth, has a particular expertise and interest in implantology and complex dental work, including oral-alveolar surgery. He performs All On 4 procedures under IV Sedation Perth’s the state-of-the-art All On 4 Clinic on a daily basis. Dr Habibi is also training other dentists in this advanced technique, and contributes as a tutor, lecturer and a mentor, whilst furthering his own education and research in the field of implantology. 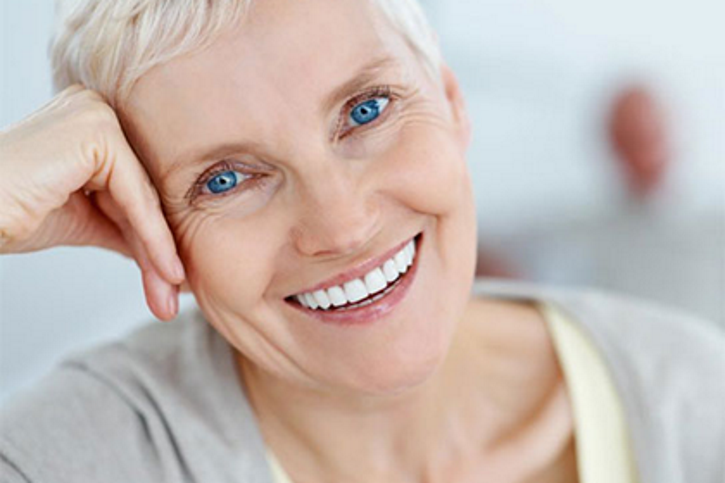 If you need help getting rid of poor fitting dentures, please contact All On 4 Clinic Perth.